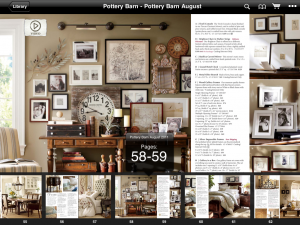 With more people using smart phones, iPads and other tablet devices, many business websites have moved from the old computer screen to the mobile interface-fusing mcommerce or mobile commerce and online shopping. People with busy lifestyles turn to the convenience of browsing and ordering items through their phones while going about their daily tasks. And business transactions can now be done through the mobile version of websites or mobile apps provided by establishments such as banks, restaurants, retail stores and cinema houses. Amazon is one of the major players the industry of online shopping and they have developed their mobile app wherein you can access your account in a streamlined dashboard and easily shop from your wishlist, deals and recommendations lists. 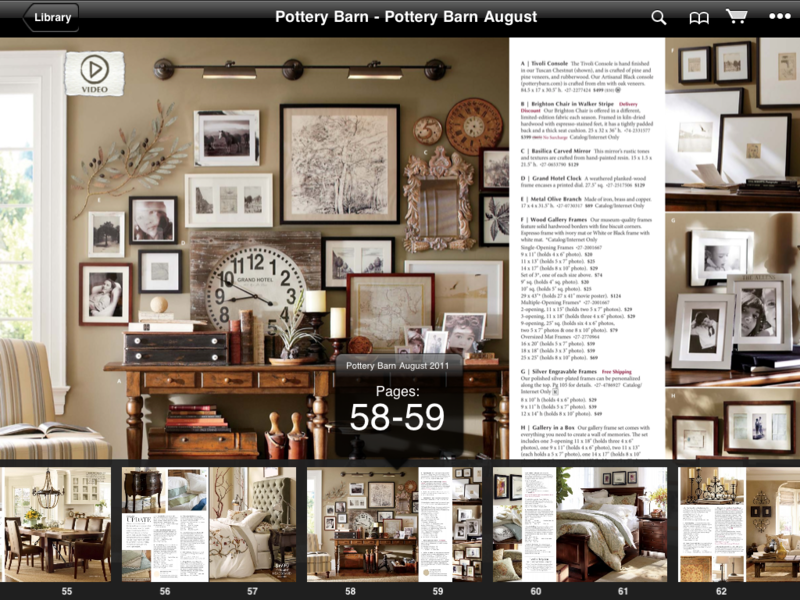 Pottery Barn on the other hand has an elegant catalog app where shoppers can view, flip, search and shop from their latest issue. 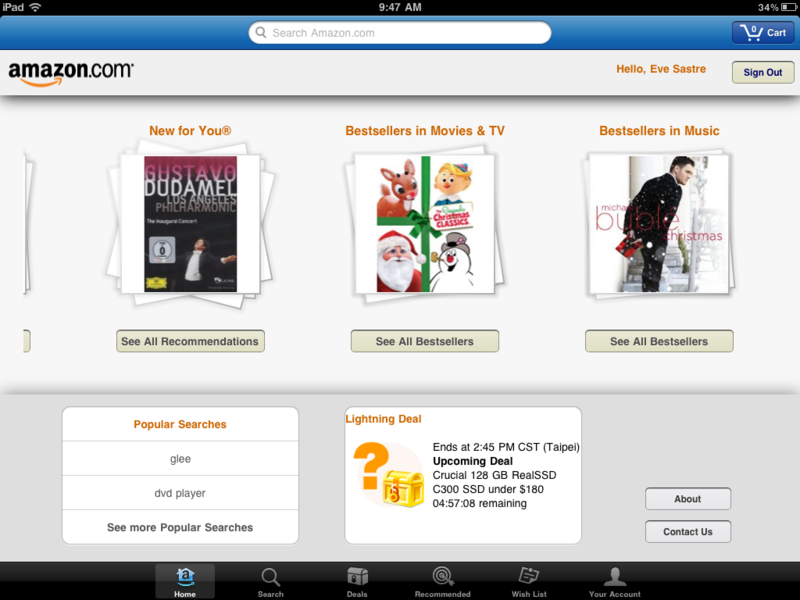 You can zoom in on any product, read about it, view related videos and click to buy, all right on your iPhone or iPad. 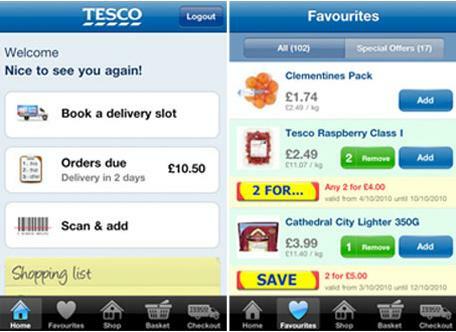 Tesco, a global retailer headquartered in the United Kingdom, also expanded its business through mobile commerce. 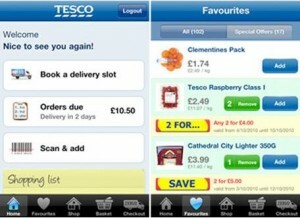 Tesco’s iPhone app has a store finder, a barcode scanning feature on their groceries app and also integrates an iPad recipes app. 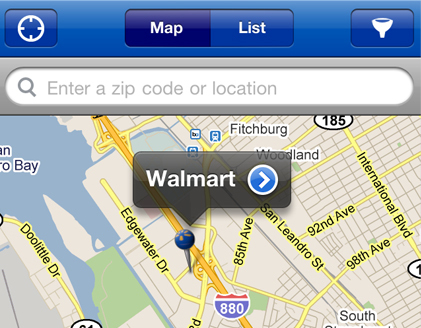 Walmart’s mobile apps allows you to search and buy online, locate the nearest store, check holiday specials, view rollbacks and local ads and more. 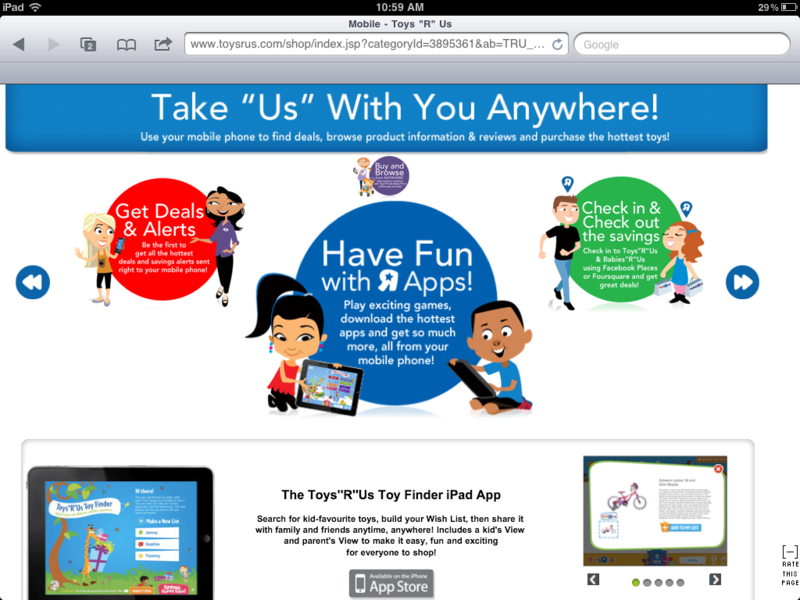 Toys-R-Us has also ventured into mobile marketing. This toy store has occupied 35 countries through more than 600 physical stores. Customers can choose to receive special deals and alerts on their mobile devices and they also developed several game apps and a store finder app for the iPad and iPhone. 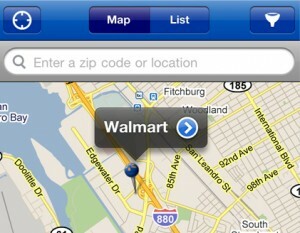 The advancement of mobile technology helped retailers reach more people and build a more solid clientele. 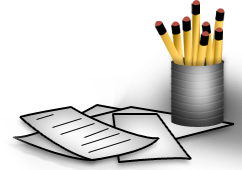 Interested in getting your own mobile-compatible website or mobile app for your business? Visit us at The Design People or at info@thedesignpeople.